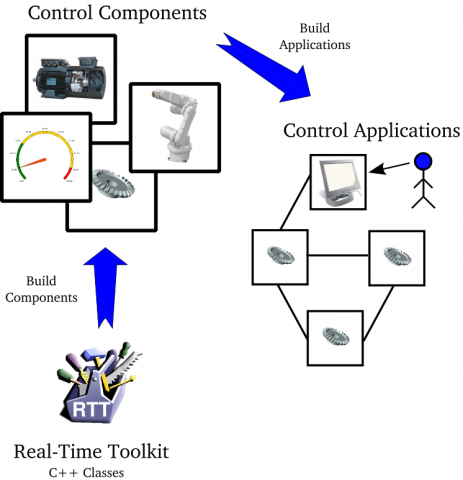 The Orocos Real-Time Toolkit (RTT) provides a C++ framework, or "runtime", targeting the implementation of (realtime and non-realtime) control systems. It is sometimes refered to as the 'Open Real-Time Control Services'. The Real-Time toolkit allows components to run on (real-time) operating systems and offers real-time scripting capabilities, the component communication and distribution API and XML configuration. Real-Time Toolkit Application Stack: An Orocos component is built upon the Real-Time Toolkit (RTT) library. Each compononent is built using the "TaskContext" primitive: an active object which offers threadsafe and efficient ports for (lock-free) data exchange. 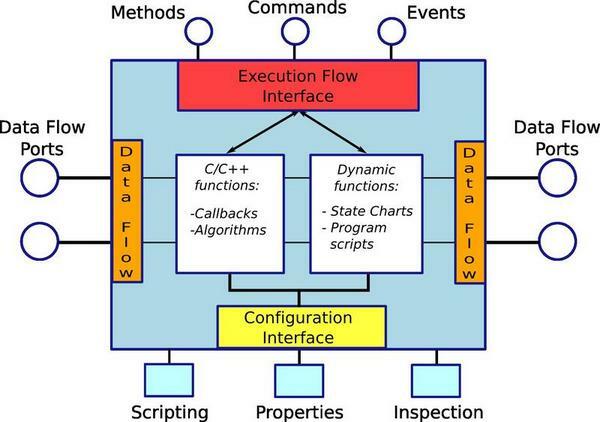 Orocos TaskContext: Data flows through ports and is manipulated by algorithms in the component. 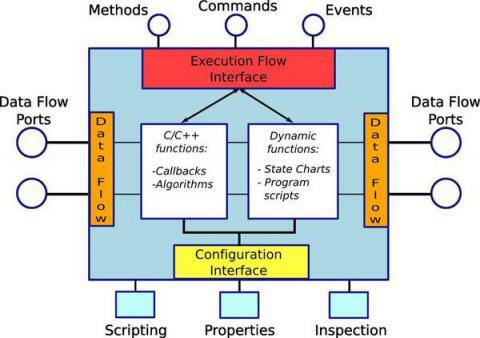 It can react to events, process commands, or execute Finite State Machines in hard real-time. It can be configured on-line through a property interface (set/get values) and XML files. Besides the "runtime", the project offers abstract interfaces to common hardware such as encoders, AD/DA conversion, etc., as well as (links to) a number of relevant hardware device drivers. 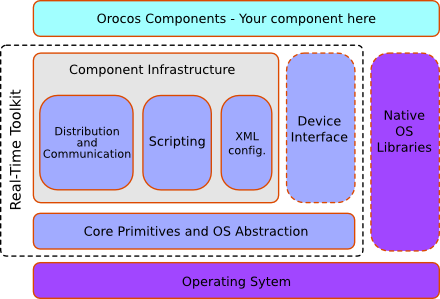 See the Orocos Components Library for ready-to use components. See the left-side menu to browse the API, documentation (manuals) or download the RTT.